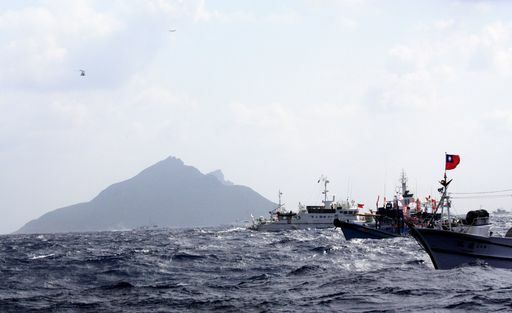 Taipei, April 29 (CNA) The Ministry of Foreign Affairs on Wednesday reiterated Taiwan's sovereignty over the disputed Diaoyutai Islands in the East China Sea, saying that they are an indisputable part of the territory of the Republic of China. The ministry reiterated the government's stance on the Diaoyutais after U.S. Secretary of State John Kerry told Japanese leaders two days earlier that Washington's treaty commitments to Japan's security remain "iron-clad" and cover all territory under Tokyo's administration, including the tiny islands known as the Senkakus in Japan and the Diaoyutais in Taiwan, which are also claimed by China. Kerry renewed the security pledge at a New York news conference with Japan's foreign and defense ministers to unveil updated U.S.-Japan defense guidelines. MOFA spokeswoman Anna Kao said that the security arrangement between the United States and Japan is the cornerstone of stability in the Asia-Pacific region and an important pillar of security in East Asia. The ROC will continue to keep a close watch on changes in relevant situations and attaches great importance to regional peace and stability, Kao added. Kerry's reiteration of Washington's robust treaty committments to Japan's defense was related to administrative jurisdiction but not sovereignty issues, Kao said, while urging all parties concerned to resolve East China Sea disputes through peaceful dialogue. While the United States does not take a position on the ultimate sovereignty of the islands, the U.S. government acknowledges that they are under Japanese administration. The uninhabited islands are surrounded by rich fishing grounds and are believed to sit atop oil and gas reserves, giving them strategic importance in the region.